31.12.2010 11:59 PM - Network overload? Cell phone unusable? Reminder: Please not the reduced business hours during the holidays. 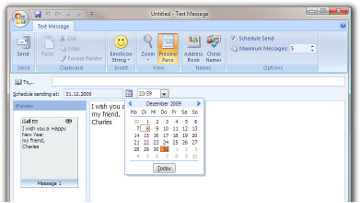 With Microsoft Outlook 2007 Mobile Service SMS you can schedule Short Messages to a specific date and time? That's how it works! 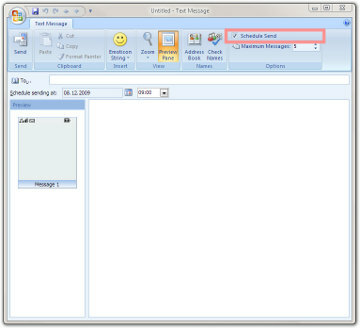 With Outlook 2010 does not support scheduling SMS anymore. If you are an Outlook 2010 user, please see our alternatives. In case you have not set up the Microsoft Outlook 2007 Mobile Service yet you can find a detailed instruction here. Open the Text Message editor. Activate "Schedule Send" in the menu bar of the Text Message editor. Enter the Message Text and choose the Recipients from your Contacts or enter the number manually. Set the date when the message should be sent. Advice: If many deferred jobs are planned for the same time - like at New Year's Eve - small delays may occur. Date and Time can either be entered manually or with the pop-up calendar. Click Send to forward the message to the ASPSMS System where it will be buffered. The ASPSMS System will deliver the message at the defined date and time. Not only Microsoft Outlook 2007 Mobile Service is able to schedule short messages. 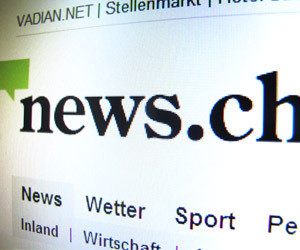 Most applications that use ASPSMS are able to do so. Geneva, Helsinki, Istanbul, Lisbon, Beirut, Alice Springs, Lausanne, Chilliwack, Sioux City, Asuncion, Quito, Kumamoto, Manila, Saint Petersburg, Damascus, Kathmandu, Antalya... and many other places!